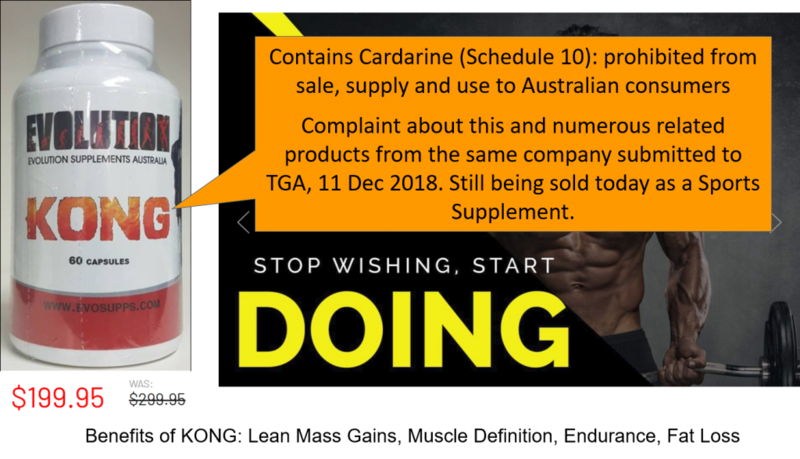 These are illegally supplied and promoted products by Australian companies in breach of the Therapeutic Goods Act 1989. The companies involved are breaking the law. So why has the TGA hand-balled the latest publicised problem to ACT Health? This appears to be yet another example of food-medicine interface buck-passing between the TGA and FSANZ. This is not good enough! Consumers are being put a risk. The ACCC (which takes consumer protection more seriously) must get involved. 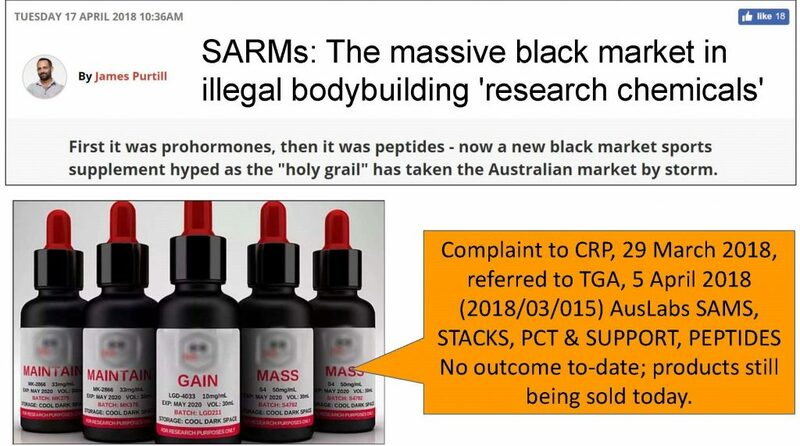 This entry was posted in Advertising, Choosing wisely, Complementary medicine, Food, Pharmaceutical Promotion and tagged ACCC, Evolution Supplements - The King Kong Stack, FSANZ, SARMS, TGA. Bookmark the permalink.